The Winnipeg Jets, in conjunction with the National Hockey League, today announced that forward Mark Scheifele has been named the NHL’s First Star of the Week for the week ending Dec. 2/18. Scheifele, 25, opened the week with a pair of goals in Winnipeg’s 4-3 setback to Pittsburgh on Tuesday. On Thursday, the Kitchener, Ont. native matched a career high with three assists and a plus-five rating in the Jets’ 6-5 win over the Chicago Blackhawks. Scheifele scored a pair of goals, including the overtime winner, as Winnipeg opened a three-game road trip on Saturday with a 4-3 victory over New Jersey. 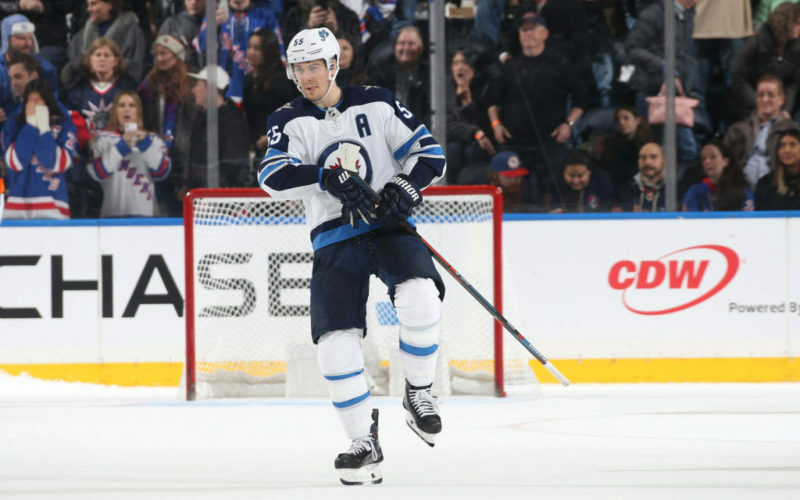 On Sunday, he scored on the power play and added the decisive marker in the shootout as the Jets came from 3-0 down to win 4-3 over the New York Rangers. In total this week, Scheifele tied for the league lead in goals with five and was second in points with eight (5G, 3A), and he is currently riding a five-game point streak (5G, 4A). On the season, Scheifele is tied for tenth in the NHL in points (32), tied for ninth in goals (16), and his +11 rating leads the Jets and is tied for 20th-best in the league. This is the second time this season (also Oct. 29 – Second Star) and the fifth time in his career that Scheifele has been selected in the NHL’s Three Stars of the Week. He is the fourth Jets player to be selected in 2018-19 after Winnipeg had eight appearances in the Three Stars of the Week last season. Scheifele joins Patrik Laine (Nov. 26 – First Star) and Blake Wheeler (Nov. 12 – Second Star) as members of the Jets that have earned NHL Three Stars of the Week honours this season.